Darlings, in the words of Linda Solegato, “A little chocolate is like a love affair - an occasional sweet release that lightens the spirit. A lot of chocolate is like marriage - it seems so good at first but before you know it you've got chunky hips and a waddle-walk.” Luckily for you, my loves, there is one form of chocolate that is just as decadent and delicious as the edible sweet; yet lacks the ability to pack on the pounds – and now one (1) of you charming chocoholics will be taking it home! As a sweet surprise for Christmas Eve 2010, Café Fashionista has teamed up with the ever-scrummy Chocolate Handbags – whose designs have been seen dangling from the arms of everyone from Jersey Shore’s Snooki and JWoww, to The Social Network’s Brenda Song and Dancing with the Stars’ Audrina Patridge – to bring one (1) reader the Front Lock Clutch in the color of their choice – Purple, Green, Blue, or Tan. 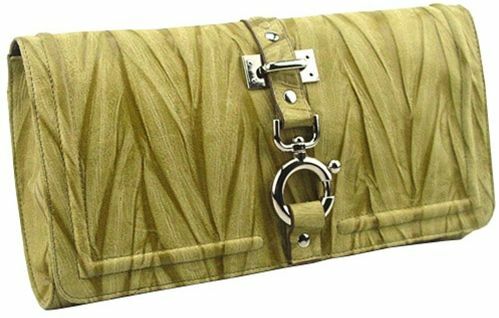 ♥Become a Fan of Chocolate Handbags on Facebook. 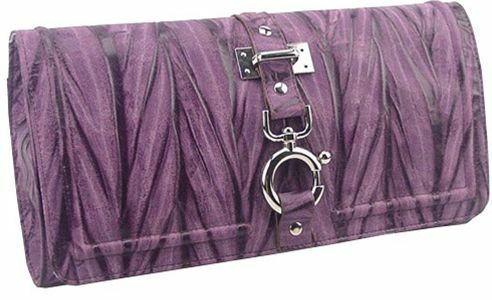 ♥For one (1) entry, leave a comment on this post stating which Front Lock Clutch color is your favorite (Purple, Green, Blue, or Tan) between now and Friday, January 7, 2011 at midnight PST. ♥ For two (2) entries, Twitter about this giveaway, and leave a comment on this post stating which Front Lock Clutch color is your favorite (Purple, Green, Blue, or Tan) between now and Friday, January 7, 2011 at midnight PST with your Twitter URL. ♥ For three (3) entries, become a follower of Café Fashionista on Blogger/Google Reader/Google Friend Connect/Twitter, and leave a comment on this post stating which Front Lock Clutch color is your favorite (Purple, Green, Blue, or Tan) between now and Friday, January 7, 2011 at midnight PST (if you are already a Café Fashionista follower, please say so in your comment). I will randomly pick one (1) name out of a hat (who knows, it could be yours! ), and announce the winner on Saturday, January 8, 2011. Thanks to Chocolate Handbags for the pictures. I already follow your blog, GFC- M.P. Oooh I love the pink one! Merry Christmas Eve! ooh!! i forgot! im already a chocolate handbags follwer on facebook! Just became a fan on FB and I looooooove the purple! Merry Christmas, gorgeous, and thanks for this wonderful contest and all your blogging efforts throughout the year! It's a toss up between green and blue...I'll go green. My favorite one is the tan. But, purple comes in a very close second. The blue one just says something to me but I would probably choose the tan one. WOnderful giveaway! I just love you and your blog. Your a such a sweet person with fabulous writing skills. Merry Christmas to you and wishing you a wonderful New year. OMG my favorite is the front pocket satchel. I am already a follower of yours, and tweeting about it now. I am already following your blog and I am officially liking Chocolate Handbags on facebook. My favorite is the tan. The purple one is definitely my favorite!! I have "liked" this on facebook, and I follow the blog through GFC. Love this giveaway! Amazing giveaway Love! I want the tan one, I LOVE IT! I follow on blog and twitter! I really like the colors, but I'm not a clutch girl. Merry Christmas Eve, E. Hope your holidays are wonderful. I love the bags! They are awesome. i love the tan color! Oh, I'd be happy with any of these! Great give away! have the very best of times my dear!!! merry christmas!!! AHHH. This is so luxurious lookin'. YUMMY. I'm lovin' the purple one. Purple's definitely in the tops of my favourite colour. a beautiful give away! Happy Christmas EVE! 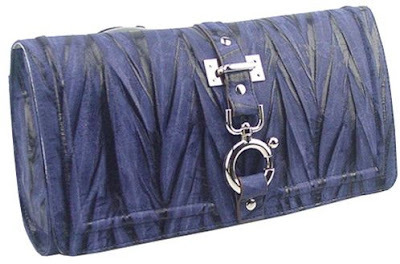 I love the blue clutch, what a lovely giveaway! I am a follower and Merry Christmas Erika! WOW.. those clutches are to die for..
You are so awesome! Of course I follow you and I think you are the most awesome-est blogger out there! Liked! I'd love to win the tan one...very chic! Merry Christmas! I love the tan is gorgeous!! I'm a Chocolate Handbags Facebook Fan! and I LOVE the green one! Ok so I think I did this all correctly. I followed on FB, followed on twitter ( I'm now your 1000th fan! ), I followed on blogger & google and tweeter the contest... Lol... did I do everything correctly? I'm a fan of Chocolate Handbags on FB! My fav. clutch color is the purple one! great giveaway. 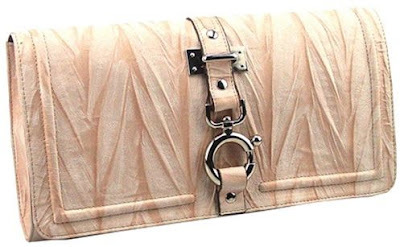 i am a google follower and i would love the tan clutch. They are all so nice which makes it so hard to choose, but I guess I would pick the green one. I am a fan on facebook. I'm a follower of Café Fashionista on Google Friend Connect. I love, love, love the blue clutch. I am a google follower, CH's friend on FB, I LOVE WANT NEED HAVE TO HAVE the Blue one!! I am a loyal follow of CF so I am tweeting this giveaway via @shopwestlandctr, I liked CH on FB and I am in love with the purple clutch! I would love to have the purple....green is also nice. Purple one is pretty nice. my wife will love it. I owuld choose the blue one, would be great with jeans or dressing up! I love the purple one! I'm now a follower on Facebook, twitter and google reader. Plus I tweeter about the giveaway! but really, all the colors have a different expression and i think i've become a CHOCOHOLIC! Loving the green and the purple. Love the green and purple. Following you on FB. My favorite is the tan one! And I follow you on Google Reader. I like the green one!!!! And I liked on facebook! I love the tan colored Front Lock Clutch. I now follow you on Twitter and Blogger! Happy New Year!!! <3 Tan! Tweeted, Followed, Posting now. Just found your blog... LOVE IT! (Actually found the contest BECAUSE I started following you on reader). My Fave is the Blue!